Simple elegance - beautiful imagery with all the gentle sweeping curves and wonderful blends of colors and shapes. A solid 10. 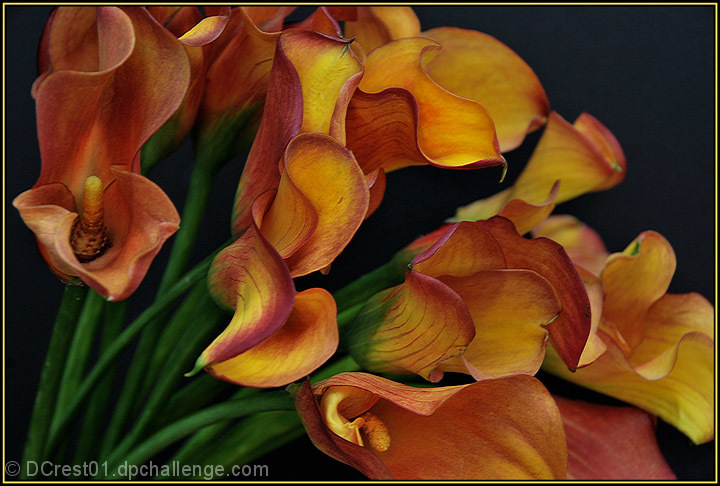 Meticulous collection of calla lillies i really like how u presented them in the frame.. Nice deep rich tones not over saturated.. Proudly hosted by Sargasso Networks. Current Server Time: 04/24/2019 09:50:09 AM EDT.